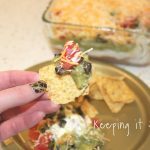 If you are in need of an amazing appetizer, then you have to make this 7 layer bean dip, it’s my favorite and I love it so much! 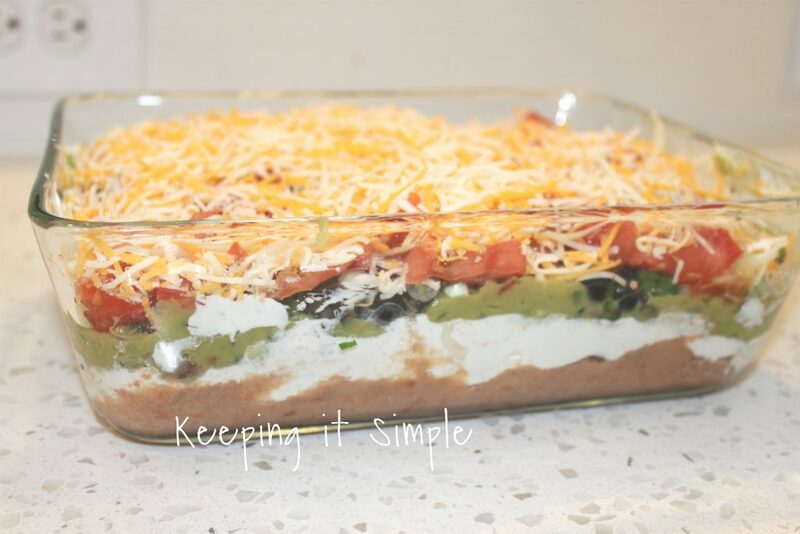 It is so good and it is definitely a crowd pleaser! It’s perfect for any party or get together. I love making it for things like New Year’s Eve or for football parties. It’s great for just a few people or for lots of people (because it is a recipe that can easily be doubled!) and it’s one that people will go back for seconds! 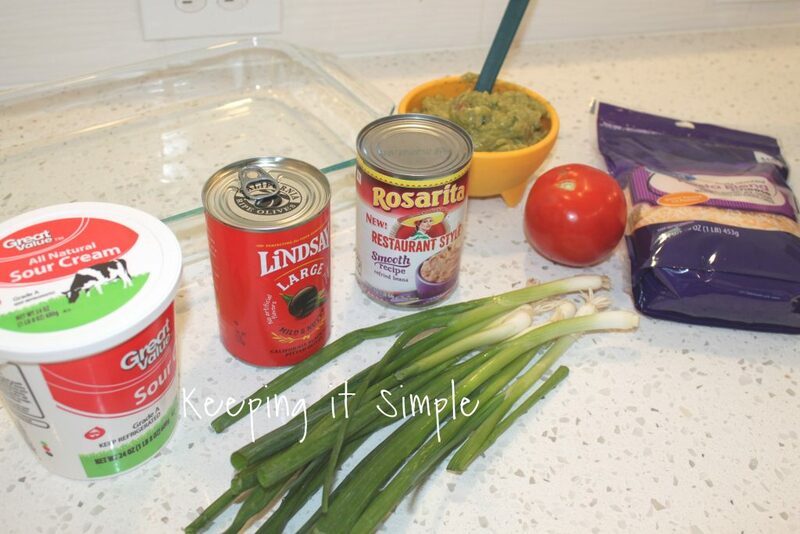 Here is what you’ll need to make the 7 layer bean dip. Start with the beans and spread them onto a casserole dish. Add each layer until you put the cheese on last. All you have to do is mash up the avocados and then mix the rest of the ingredients together. 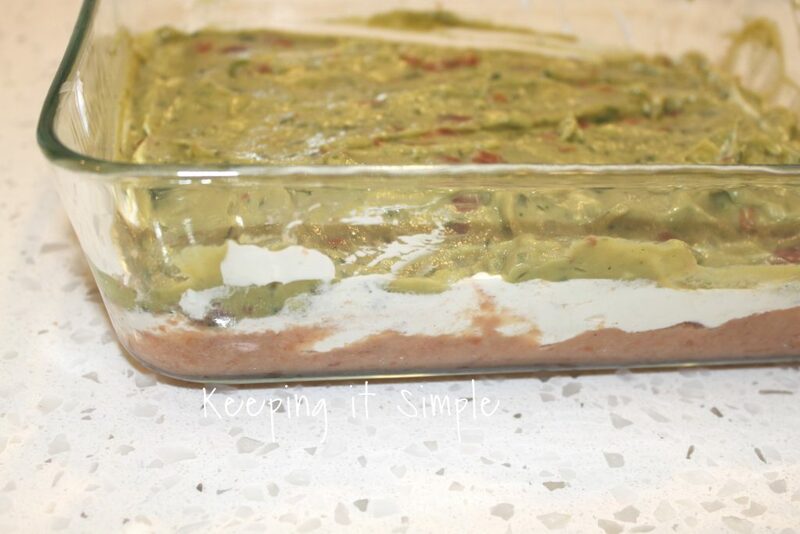 I started with the refried beans and then added sour cream and then the guacamole. For chopping the vegetables, my favorite knife is this super cool ulu knife. I got it when I was in Alaska and I LOVE it! 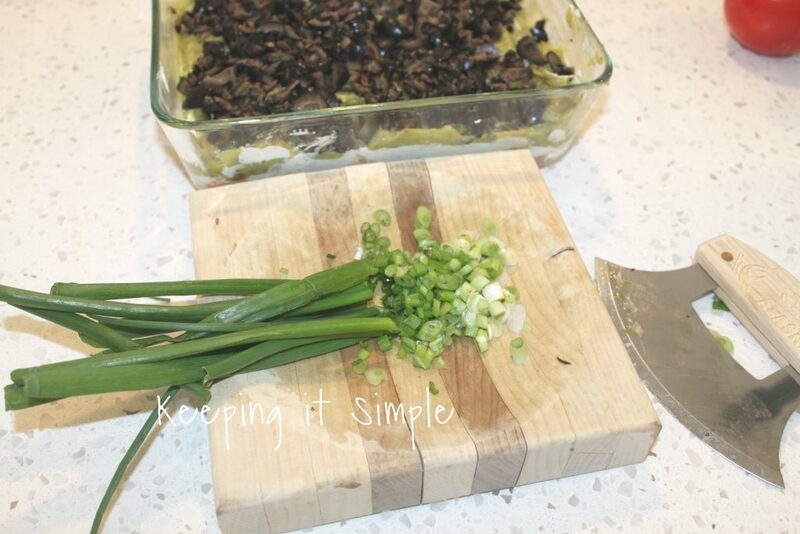 It’s so easy to use and make chopping things super easy. And that’s it! 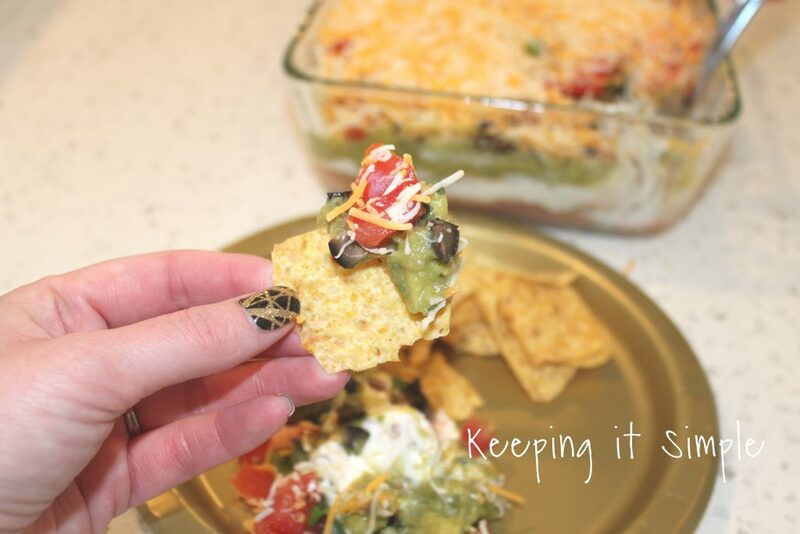 It’s a super easy appetizer but it’s super yummy! I love it! 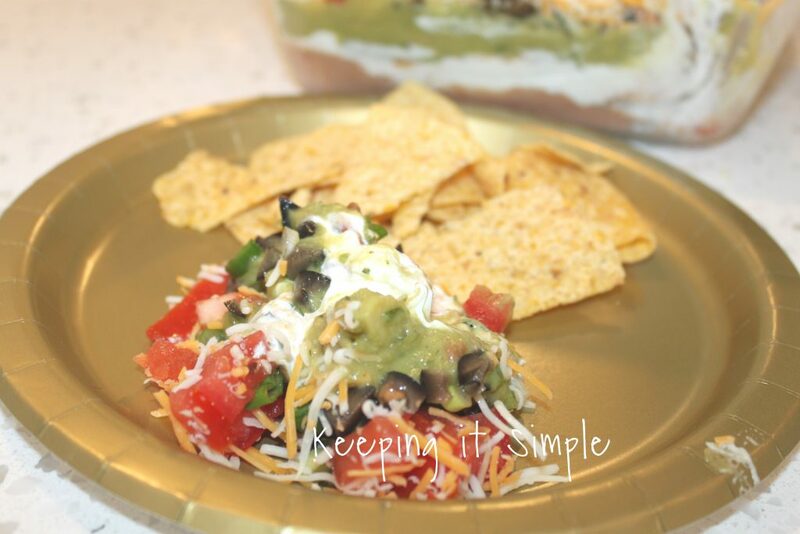 It tastes amazing with tortilla chips :). If you need another appetizer, check out these appetizers!